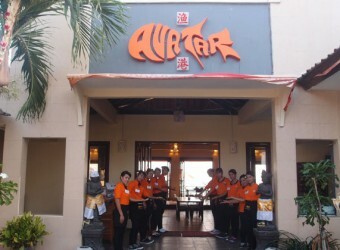 Bali Restaurant Avatar restaurant that well known in world wide restaurant arrived in Bali! The restaurant location at Jimbaran beach where you can eat fresh seafood meal. The restaurant scale is big so everyday lots of tourist stop by this restaurant and enjoying the meal. Also you can enjoy the sunset view while having dinner.